We hold expertise in providing Checkered Floor Tiles to the customers in bulk quantity from Maharashtra. We make available a comprehensive range of Checkered Floors Tiles at very reasonable price. Checkered Floor Tiles that we Manufacturer & Exporter are well-finished, smooth, durable, elegant and easy to clean. 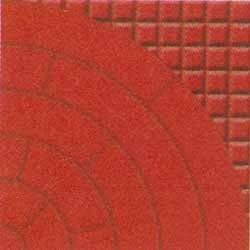 We offer Checkered Floor Tiles of optimum quality in various beautiful designs, patterns and colors. Our dimensionally accurate range of Checkered Floor Tiles is delivered in proper and safe boxes to avoid breakage.